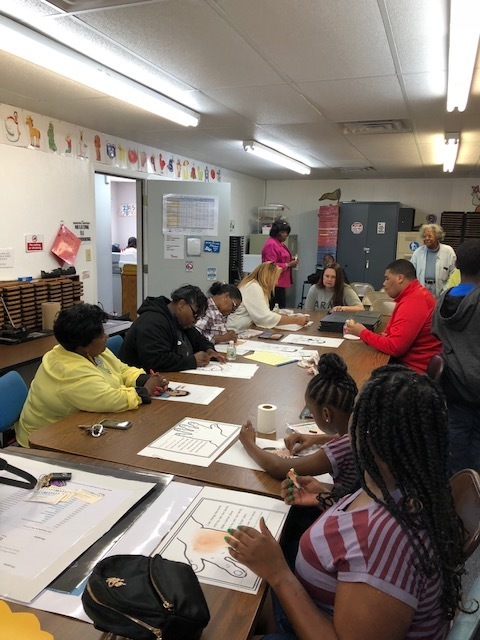 Parents of Helena-West Helena School students attended a workshop at the HWHSD Title I Parent Teacher Resource Center located at 305 Valley Drive in Helena, Arkansas. Ms. Leban McCray, the Parent Center Coordinator, informed parents on how they can directly affect the success of their children’s learning, by providing parents with techniques and strategies that they may utilize to improve their children’s academic success and to assist their children in learning at home. The center is open Monday-Friday (9:00-4:00) to teachers, parents, and community members. E-school Home Access Center (HAC) training was also provided by Mrs. Julia Foreman, E-School Administrator. Through HAC, parents can view a daily summary of their children’s attendance, schedule, and class work, along with interim progress, report card, and discipline. For additional information on the Title I Parent Teacher Resource Center or HAC please call Ms. McCray at (870) 338-4403 or Mrs. Foreman at (870) 338-4425. Thanks to all the parents and community members who attended this event.